HomeFeaturedTalking Tactics: What’s The Best Role For Anthony Martial Going Forward? Anthony Martial must be one of the most versatile players in the Manchester United squad. 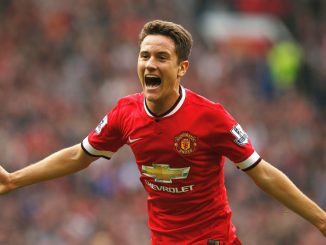 The 21-year-old French forward completed his second season at Old Trafford. 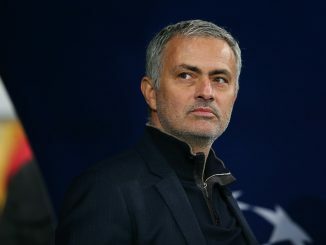 And even though he did not have many minutes with Jose Mourinho, once again he proved his value when given the chance. He wasn’t a regular starter, but the former Monaco youngster eventually became a valuable piece on the side. One of Martial’s biggest strengths is his understanding of the game. Even though he is young, Martial reads the game very well and that allows him to find spaces where other players can’t. And that knowledge allows him to play all over the attacking third. We have seen him on both flanks, as a support striker, and as a central forward. But what is his best role? First of all, United must feel blessed to have such a versatile player on the attack. 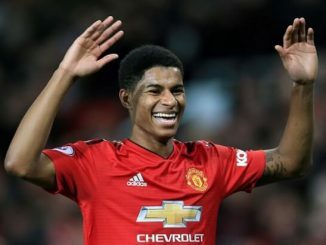 Even though Marcus Rashford can also operate all over the attacking third, everybody knows he will play most of his games as a striker. That’s not the case with Martial, because it seems every manager wants to play him on a different role. If we analyse the numbers rather quickly, we can see he spent most of his time featuring on the left side of the pitch. Whether as an attacking midfielder or as a winger, Martial played on that flank in 23 of his 28 starts. However, when it comes to productivity, Martial produced the best scoring ratio as a striker with one goal and four assists in only four matches. That assist total is key, because it shows a key component of his game. Instead of being a forward who solely cares about scoring, he fits better as a support striker that participates of the game on several aspects at the same time. Looking towards the future, United could have a great partnership with Martial and Rashford upfront, and perhaps Paul Pogba coming from behind. But if we focus on the immediate future, then the outcome is crystal clear. Mourinho needs to keep Martial on the left wing, because that’s the role he will likely fulfill over the course of his career at Old Trafford. Having him on the wing allows Martial to play on different roles. He can push on the flank and cross the ball into the box. Or maybe he can cut inside and act as a support striker, leaving the flank for the full back coming from behind. Or maybe he can slot from the left into the centre, and act as a second forward just behind the striker. As long as the French starlet is comfortable on the pitch, the possibilities are endless. And we know what he can do when he is comfortable out there. This Season Has Seen Progress At Manchester United, But Was It Enough? 1 Comment on Talking Tactics: What’s The Best Role For Anthony Martial Going Forward? i hope and believe that Martial is a good player and can perform better when deployed at the wings because of his pace and ability to challenge defenders more so in one on one situation.